Visit our new website just for Kestrels at www.kestrelclub.co.uk. See you there! 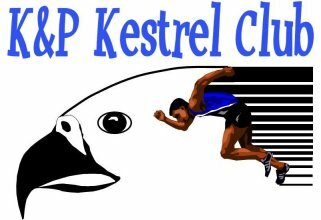 Momentum Sports is very pleased to be running athletics session for youngsters at Poole Road athletics track in Epsom to help develop the next generation of athletes in the south-west area of London through the Kestrel Club. As with the sessions held in Kingston, the aim is very simple - to introduce the whole range of athletics events to children in a fun and fulfilling way through coaching from highly experienced qualified coaches. We welcome all children, no matter what their ability and potential, as we believe that everyone can improve with our support. Each session is run at the Poole Road Athletics Track in Epsom (postcode KT19 9RY), and the club runs throughout the year - including the summer holidays. If you would like to come and try out to see if you like the sessions, we offer athletes a taster sessions. The first one is �/b>, with any further pay-as-you-go session � thereafter. If you would like to commit more long-term after trying us out, then the cost of the sessions is � for each 3 month period or �0 for each 6 month period, which will run on a rolling basis. This price pays for one of our sessions per week - there is a � discount on a second session, if your child would like to take part, provided they are in at least Year 6. This means the cost is �0 for 6 months for one session a week or �0 for two sessions a week. The price also includes the cost of admission to the track, all coaching, and prizes / goodies for athletes. We are looking to develop each individual's talents as far as possible so that they can enjoy the great sport that many of us have been involved in for years. This will provide a great platform for future athletic and sporting achievement for the youngsters involved and is the primary route into athletics for those wishing to do club athletics in the future. If you have any queries about the club or would like to register an interest in joining, please e-mail patlogan@momentumsports.co.uk. Alternatively, we are happy to welcome you for a trial without prior notice if your child meets the age requirements for the session. The Kestrel Club holds a Raffle Ticket League twice a year. There are good prizes to be had from this league, which is based on dedication, good behaviour and good performance etc. We also have a Facebook Page - KestrelClub which we'd love you to join so you can keep up to date on all the news about all that is going on.